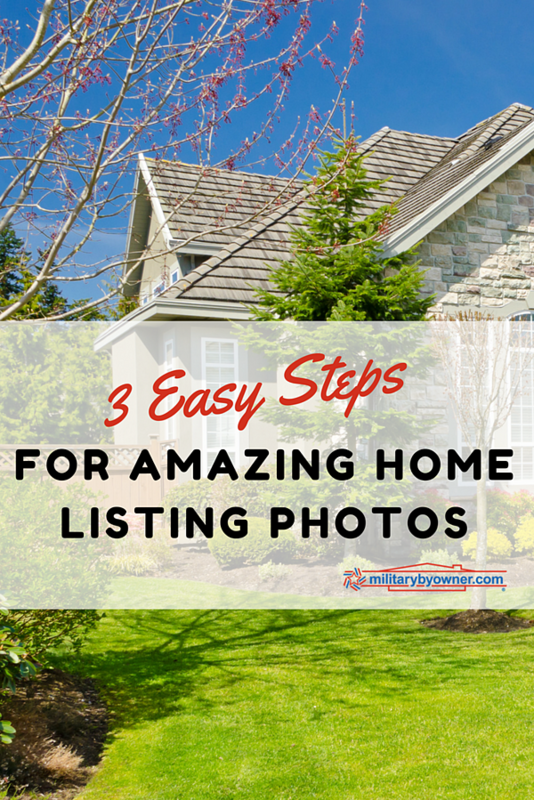 Getting the beauty of your home to translate to a potential buyer looking at photos in your home listing isn’t easy. And if you’ve tried to do it before, then you know that it’s not as simple as walking around your house taking photos--at least not if you want great ones! Instead, you have to set aside some time to get your house ready, take the photos, and then edit them. But don’t worry...though there’s an endless amount of information we could include, we've created a detailed guide to simplify the process and help you get those gorgeous photos of your home! 95% of home buyers searched online for property. 58% of home buyers found their home on a mobile device. 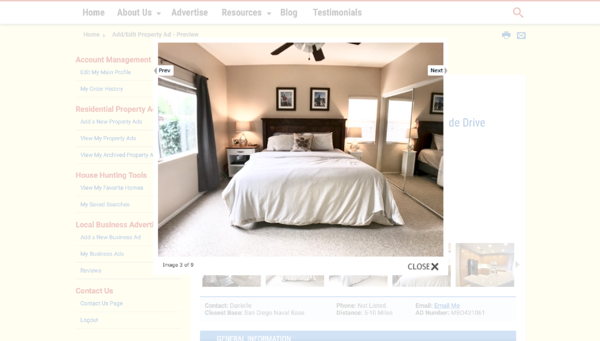 89% of home buyers who used the internet to find properties found photos very useful. Most home buyers found and purchased a home within 10 weeks. Since high quality photos carry so much influence, you may consider hiring a professional to take the photos. 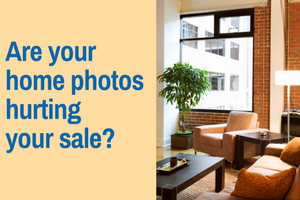 Your home will likely spend less time on the market and the photographer fees will pay for themselves. However, if you feel ambitious and have the confidence to do it yourself, we’ve compiled a list of tips to help you capture your home successfully. You’ll see example photos throughout. I used my iPhone7 Plus and the Xenvo wide angle lens that you can find on Amazon for $30. You’ll notice that these examples are not professional quality; however, they are great quality for doing it yourself on a low budget, and with just your phone! 1) Capture your home at its best. Your online advertisement often makes the first impression, so you’ll want to make sure that it’s a good one! A great way to get buyers to see potential in your property is to properly stage your home. Don't have people in your photo. The buyer doesn’t need the space modeled in order to envision a use for it. Instead, let the space speak for itself and make sure that people aren’t visible, including yourself! Don't leave the toilet lid up. It doesn’t matter if it’s clean, seeing the inside of a toilet bowl is distracting and unnecessary for potential buyers to see. Don't photograph your house empty. 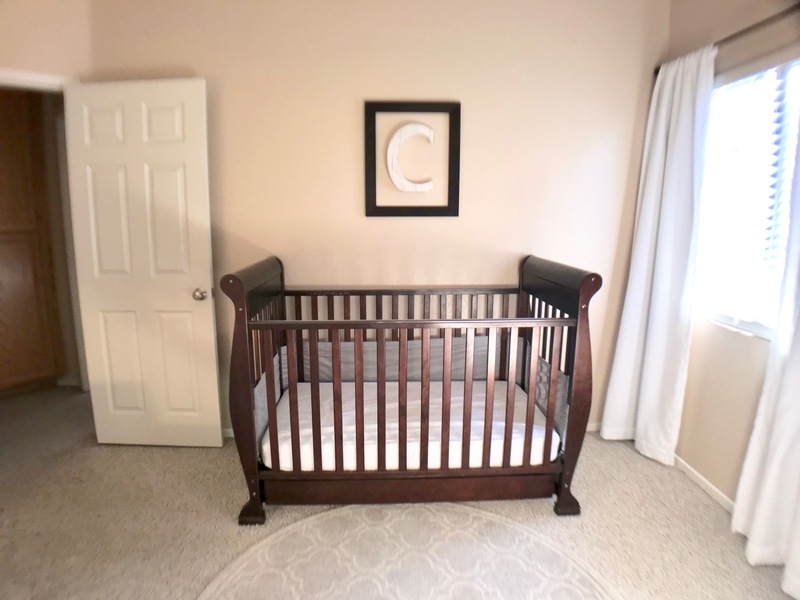 It’s much more difficult to portray the size of a room when it’s empty. It’s impossible for buyers to tell if their furniture will fit or if the space is big enough to be an office when there’s nothing for them to relate to. First, it’s distracting. The potential buyer isn’t going to see your home, they’re going to be looking at all the stuff you have laying around. Second, a buyer wants to know that the house is in good condition. If they see that your stuff is thrown around and not cared for, they’re going to be skeptical that you haven’t cared for the property any better. They may also wonder if it smells. Don't use a fish eye lens. 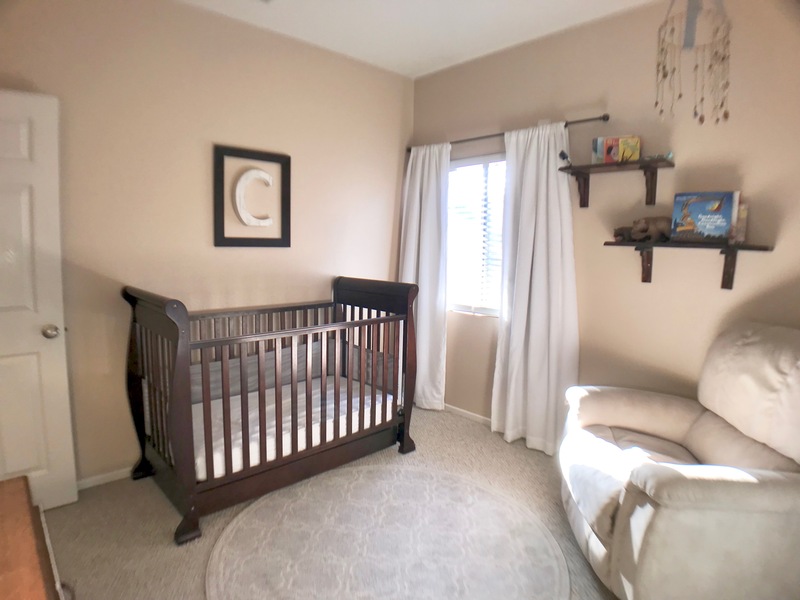 While you might think that a fish eye lens will make a small space appear bigger, it won’t. In fact, it will often distort the property and make it look smaller than it really is. Don't neglect the exterior. Even if you’re working with a smaller budget, don’t use it all on the interior. A grungy front door or unkempt landscaping will communicate to the buyers that you haven’t looked after the property and make them wonder what else you may have neglected. Do let in the natural light. Light will help make your home look more open, spacious, and airy. If you don’t get a lot of natural light, remove curtains and blinds that could be obstructing what little light you might have. Remove anything that’s personal and not essential to your normal routine. But don’t hide it in the cupboards or a closet, because when buyers come by for a showing, you can be sure they’ll open up every door. Do rent a storage unit if you need to. Store extra appliances, furniture, and personal items that currently crowd your space and say goodbye to it until after your house sells. Do hide sponges, dish towels, paper towels, and dish soap in the kitchen. Remove magnets from the fridge and clear everything off the counters. In the bathroom, pay special attention to details. Put the toilet lid down, remove the plunger, hide the toilet brush, tuck your toiletries away, and replace used towels with new, pretty ones. Do go neutral: Replacing strong, powerful colors in your home will help potential buyers see your home as a blank slate for their own stuff. You don’t have to paint your walls white, but a soft, neutral color may go a long way to help your house appeal to more buyers. Do up the curb appeal: While your advertisement makes the first impression online, your front door really makes the first impression. Our post Curb Appeal: Make a Good First Impression includes a list for home sellers/landlords to follow. A few major things to keep in mind: keep the yard well manicured, replace dead or dying plants with new ones, repair or replace anything broken on the exterior, and freshen up with a new coat of paint, or pretty flower on the front step. 2) Take high quality photos. Once your home is staged and looking its absolute best, it’s time to talk specifics. How do you take photos that will appeal to buyers when they see it online? Here are a handful of do’s and don’ts to help you take good photos of your property with whatever camera you have available. Don't use vertical photos. Even if you’re trying to capture the world’s smallest bathroom, it’s incredibly difficult to show depth and give viewers a good sense of the space. Plus they’re often smaller and lower resolution which doesn’t translate well. 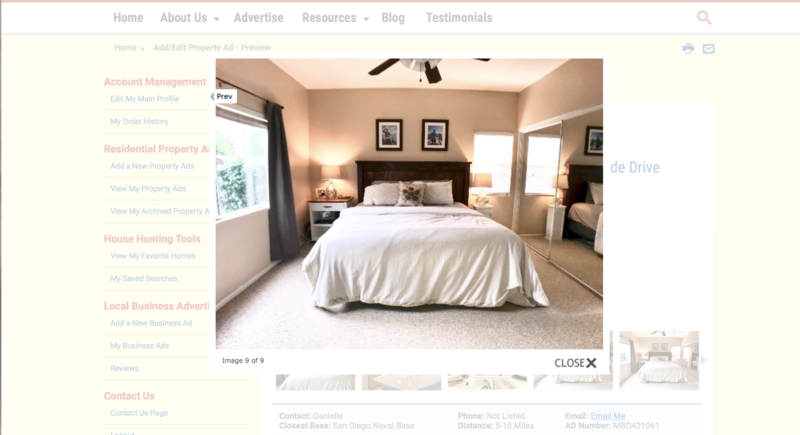 So you should never use vertical oriented photos for your home advertisement. Don't leave the front door open. Although you might think it looks more inviting, an open front door looks unfinished. Don't overlook features that sell. If your home has a garden tub, fireplace, pool, hardwood flooring, or any other attractive feature, make sure you have a photo of it. Don't use extreme angles. Don’t take photos from above your head or below your chest. Don’t turn the camera like you’re taking photos of a high fashion runway model, either. While a bird's eye view can help you capture everything in the room, it doesn’t provide online viewers with a honest perspective of the space. You also risk having more dead space, like floors and ceilings in your photo than areas of interest. Do use landscape orientation. You should use landscape mode for real estate photography. 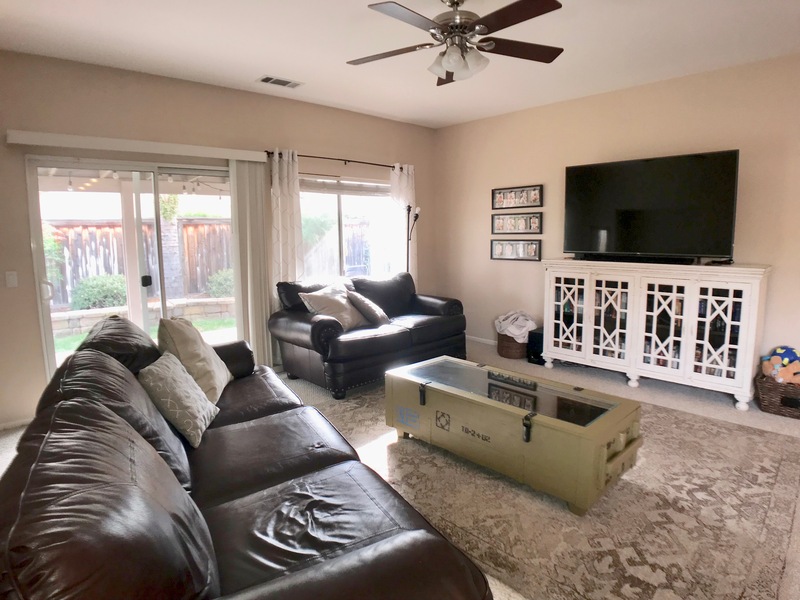 Horizontal photos better capture the size of the space and give the potential buyer a more accurate representation of the property. If you don’t have access to Photoshop Lightroom, try using the flash to minimize window flares (the blurry light around a window that distracts from other details in your home). This can help minimize the blur and see details outside the house a little better. Just remember, you’re not going to get professional quality unless you have professional equipment. Do create good flow. You don’t want the house hunter’s eyes to stop at the first thing they see. Avoid large items in the foreground to make sure the photo leads the viewer around the room. Do find the best angles. If you have a special feature in the room, find an angle that accentuates it. For example, a nook, built in bookcase, or fireplace are all great features that you’ll want a potential buyer to see when they look at your listing. So find an angle that showcases that feature. Do avoid converging vertical lines. 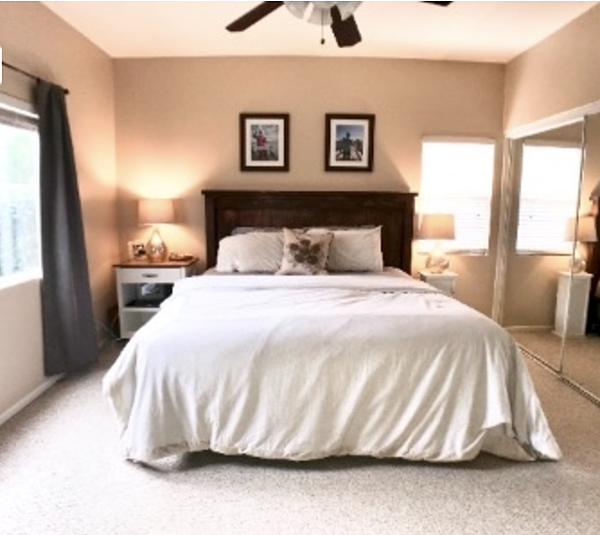 When taking photos of rooms, you want to avoid converging vertical lines. Unless you’re a Photoshop Lightroom expert or plan to use a tripod or bubble level on your phone, there’s a good chance the space will look distorted when lines in the photo don’t line up with the actual edges of the photograph. Some easy ways to avoid this: adjust the height from which you take the photo, use a wide angle lens, and shoot toward the corners. Do use a wide angle lens. Using a wide angle helps portray a more accurate feel of the space. It creates more depth and detail for the house hunters shopping virtually. Here’s an example of the same photo taken with and without a wide angle lens on my phone. You’ll notice that without a wide angle lens, the photo only captures a small portion of the space. If you don’t own a professional camera and plan to use your iPhone or Android, you can purchase a lens attachment to achieve this effect. Do shoot the corners. Shooting toward the corner of a room in your image may help create depth and create good flow by drawing the viewer's eye into the image rather facing a wall directly. This strategy can can also help you avoid converging verticals. You’ll notice that the room looks bigger when I aimed the camera toward the corner of the room. Do take photos at chest height. Photos taken at chest height present a more accurate feel of the space. 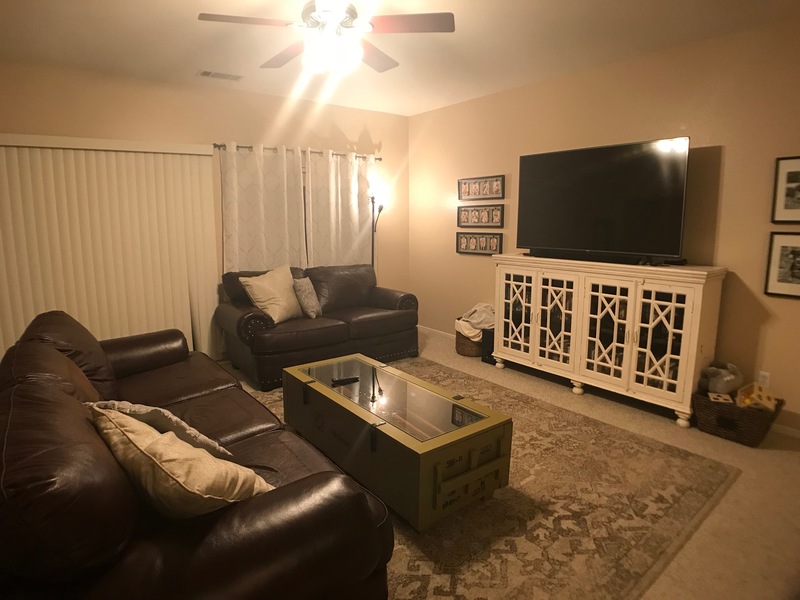 It showcases exactly what the buyer will see when they step into your home themselves. It can also help you avoid converging vertical lines, like we just talked about. Do follow the sun for exterior photos. Take your exterior photos at different times of the day when the lighting is best. For example, if the light is best on the front your home in the morning, wait to take photos of the back until it gets great light in the afternoon, instead of rushing to get it all done at the same time. 3) Lighten, brighten, and edit your photos to make them the best they can be. You don’t need access to Photoshop in order to tweak your photos before you post them. There are easy to use, free editing tools available. Gimp, Picmonkey, Fotor, Photoshop Express, and Pixlr are all great options. You can also use simple editing tools on your phone if needed, which can be better than nothing. And you don’t have to be an expert to use them--you're just looking to make simple adjustments to your photos. Don't use low resolution photos. Low resolution will upload grainy and make it difficult for potential buyers to see the details of your space. 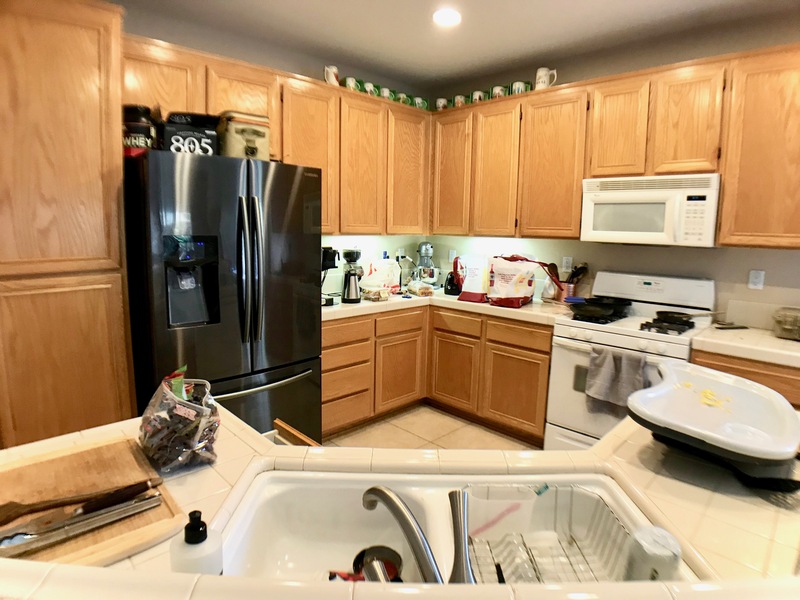 Buyers want clear, bright photos! Don't upload small pictures. Small photos make it nearly impossible for buyers to get a feel for the space. 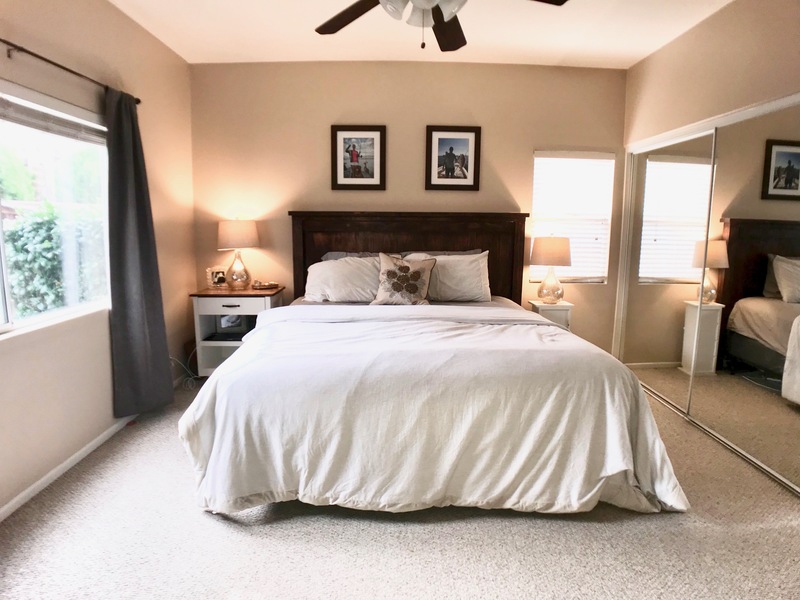 The whole point of real estate photography is for online home buyers to see your listing online, envision their lives there, and then come to see your property in person. Small, hard to view photos make this incredibly difficult. Don't add a fun frame. Your online advertisement doesn’t need a "fun" filter or frame that you’d find on a social media account. 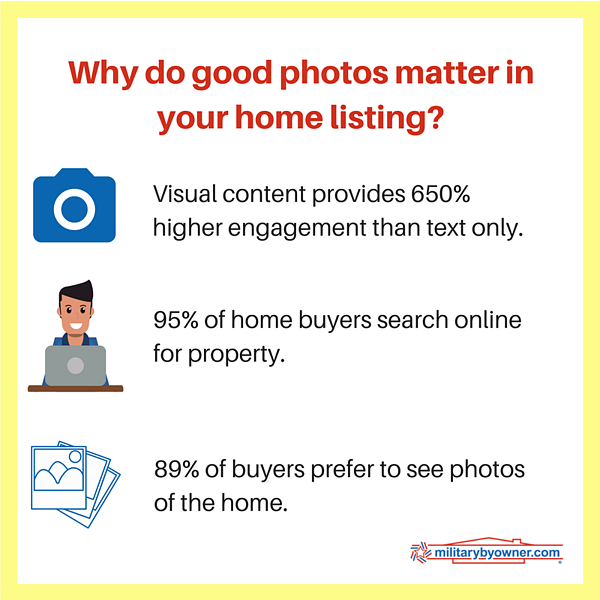 Your pictures should draw buyers because your home looks incredible, not because you have a flashy filter. Leave the frames, vignettes, and filters for SnapChat and Facebook. Do adjust the brightness. Without professional photography equipment, you’ll likely find dark spots in your photos. Don’t worry, with a simple edit, you can adjust your brightness and help make those dark areas brighter and easier for viewer to discern. If your editing tool doesn’t have an adjustment brush for more focused adjustments, you’ll want to be sure that you look at the whole photograph. While some areas could use a large light adjustment, you don’t want to over-expose the areas that are already well lit. Look at the photo as a whole and determine a good balance between light and dark. Do crop your photo. Use the cropping tool to edit out small nuisances in your photos, for example, telephone wires, the part of the neighbor’s car, etc. Though keep in mind that the more you cut, the more sharpness you lose, so use the crop tool sparingly. Do resize. Like we discussed earlier, small photos don’t sell, which means that you may need to resize them before you upload. Just be sure that they still have high resolution to avoid a grainy, pixelated image. Do pay attention to resolution. High resolution is incredibly important for the success of your photos. Dark, grainy images aren’t going to showcase your home in the best way. 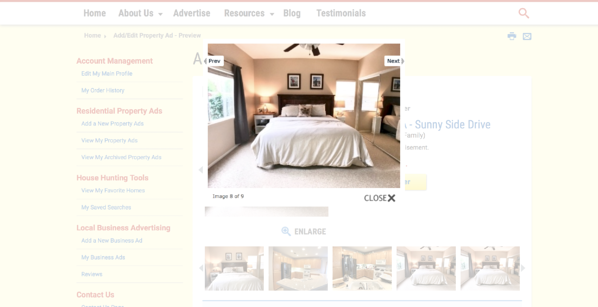 And chances are, many online house hunters will scroll past until they find a listing with photos that appeal to them. 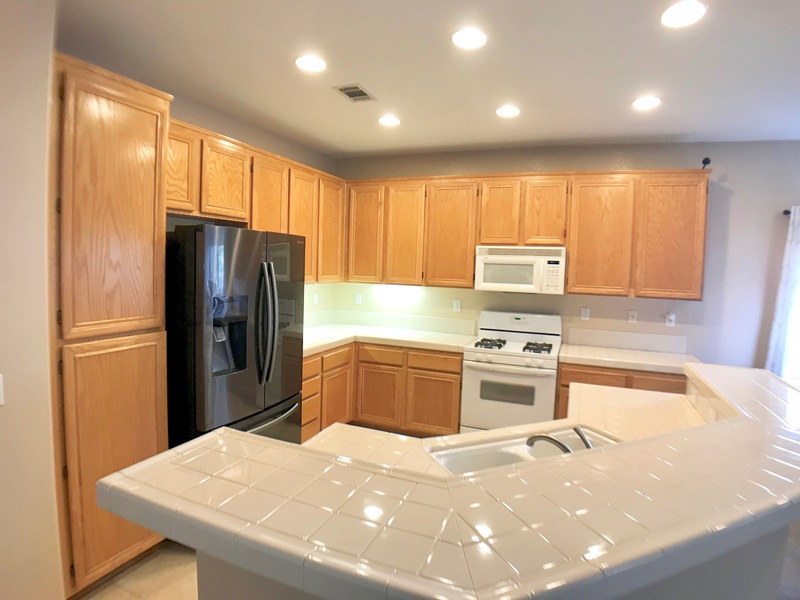 To give you an idea, here is the same photo uploaded to MilitaryByOwner in different resolutions and what they look like to potential home buyers when they find your listing (dimensions in pixels). Though the first two appear to be the same size, you'll notice a change in resolution. The third is entirely poor quality and shouldn't be used for online advertisements. Another reason to use high resolution photos? MilitaryByOwner likes to highlight their advertisers and help them gain digital traffic by sharing listings on their Facebook page. But the photos have to be at least 940px x 740px. Do pay attention to your "first impression" photo. 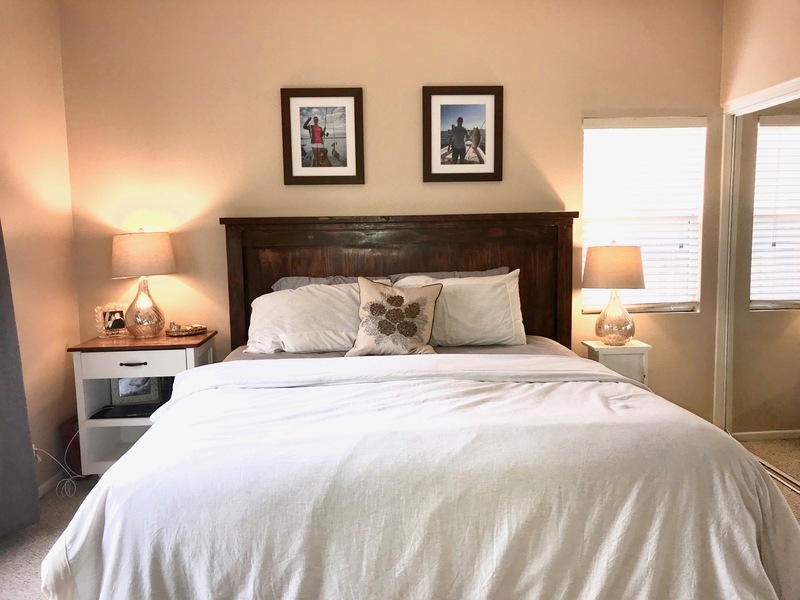 In The Photo That Sold the House: 3 Pictures That Persuaded Buyers to Click, it's note that your curbside photo is often the one that gets clicked. If it's missing, house hunters wonder why you haven’t included a photo of the front of the house. Is it because the exterior is in rough condition or because the area is bad? Put their mind at rest and let them start their virtual home tour through your front door. For more tips on home selling, download MilitaryByOwner’s free ebook, Answers to Your For Sale By Owner Most Frequently Asked Questions!